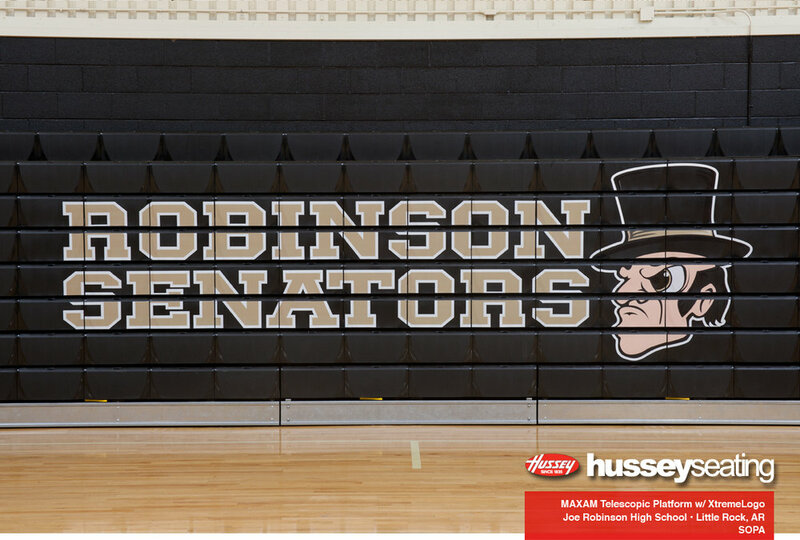 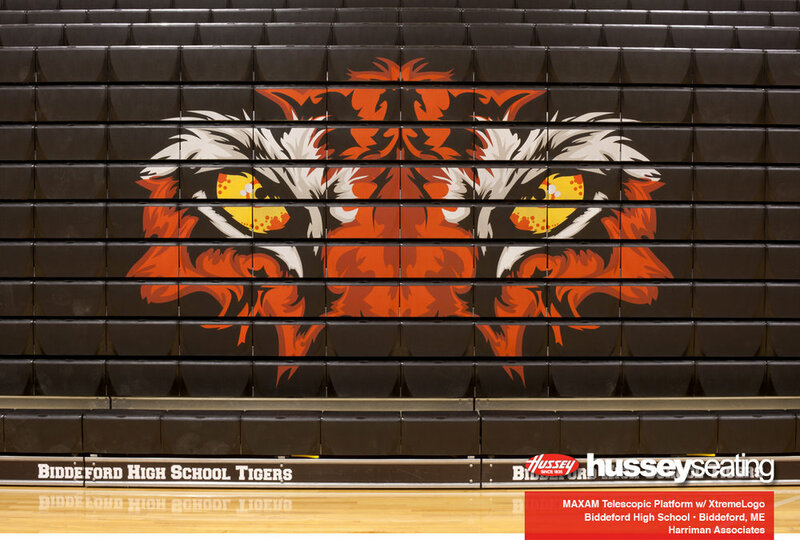 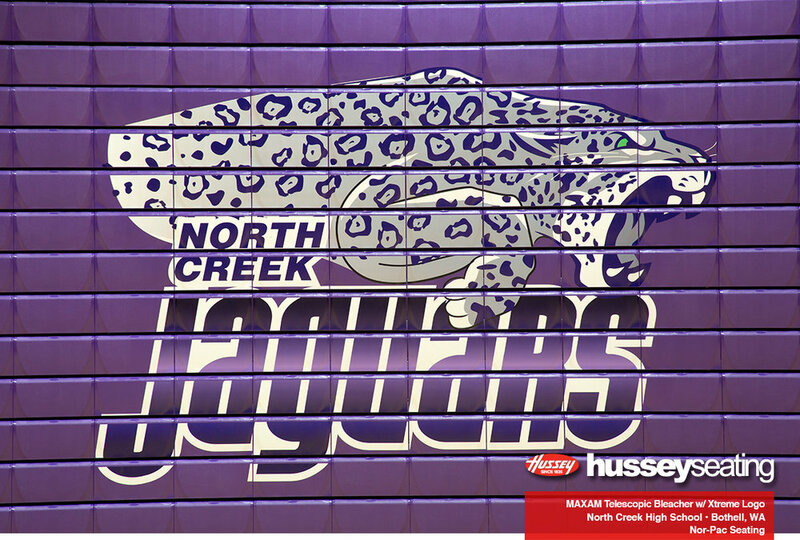 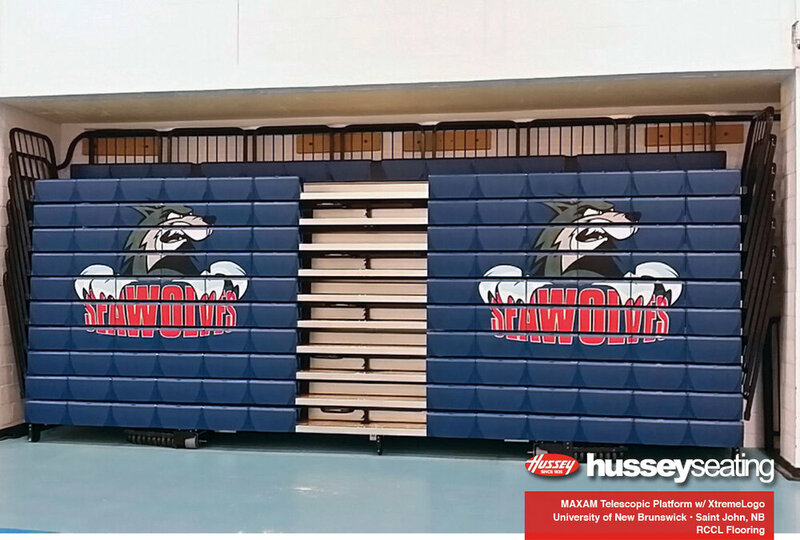 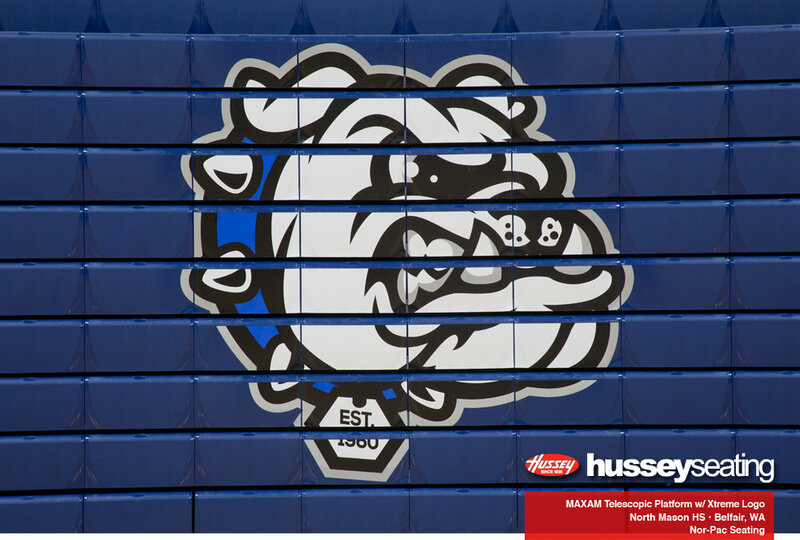 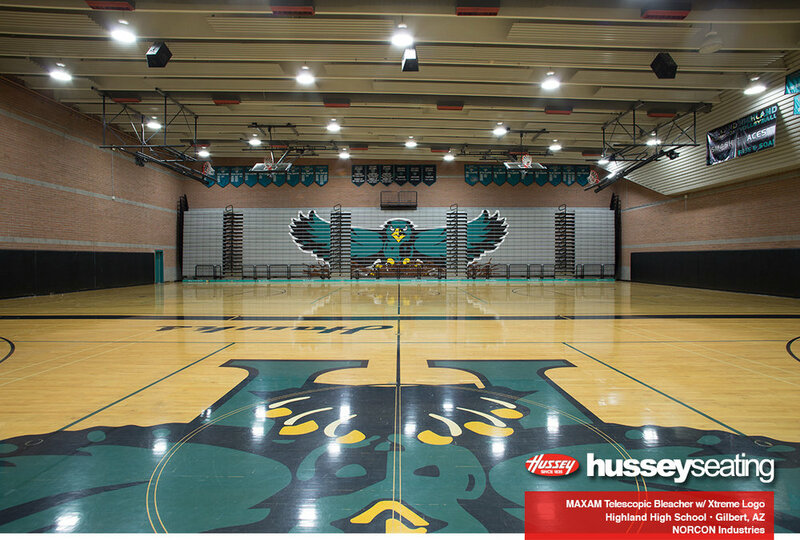 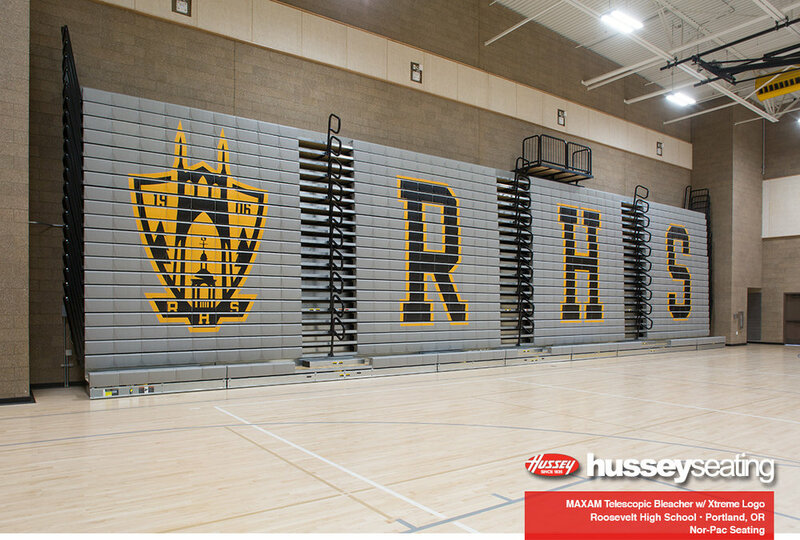 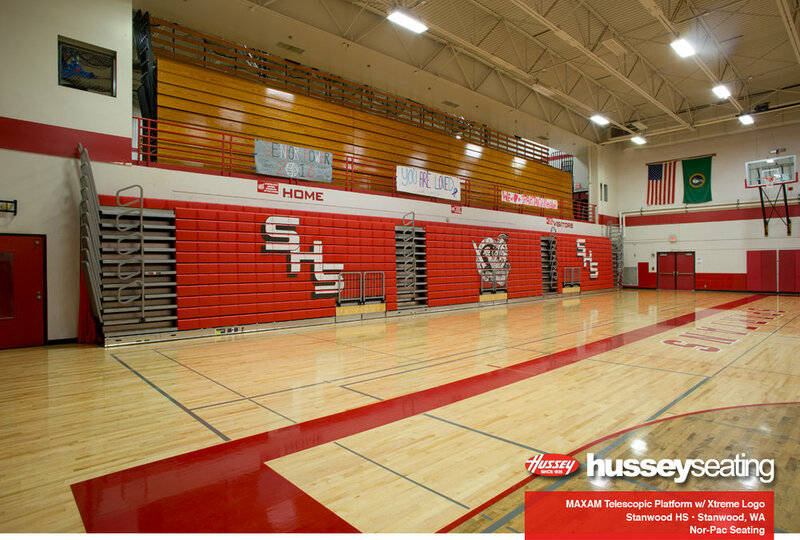 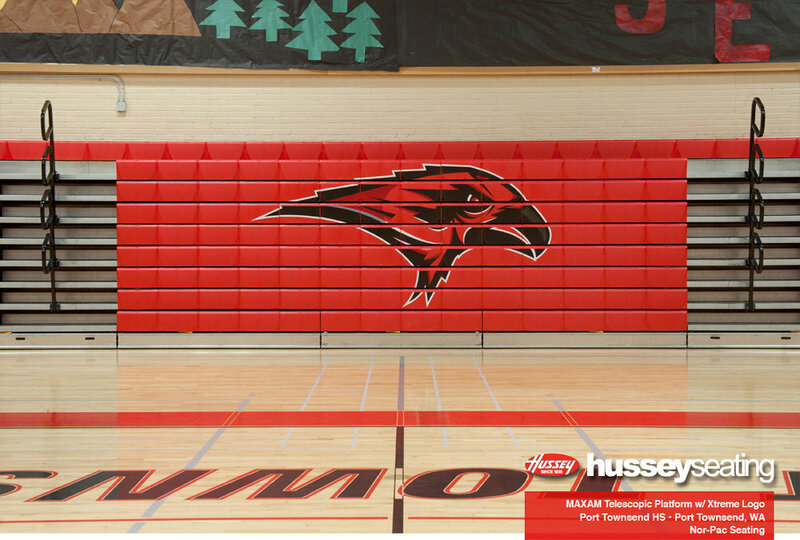 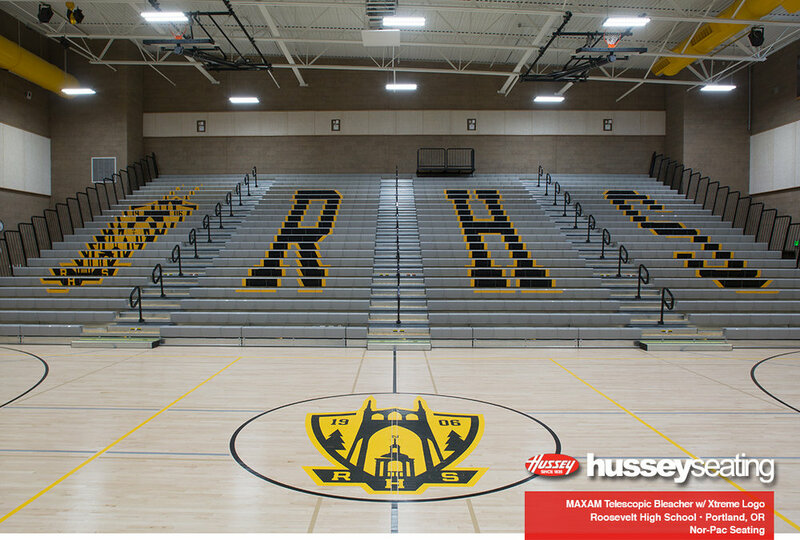 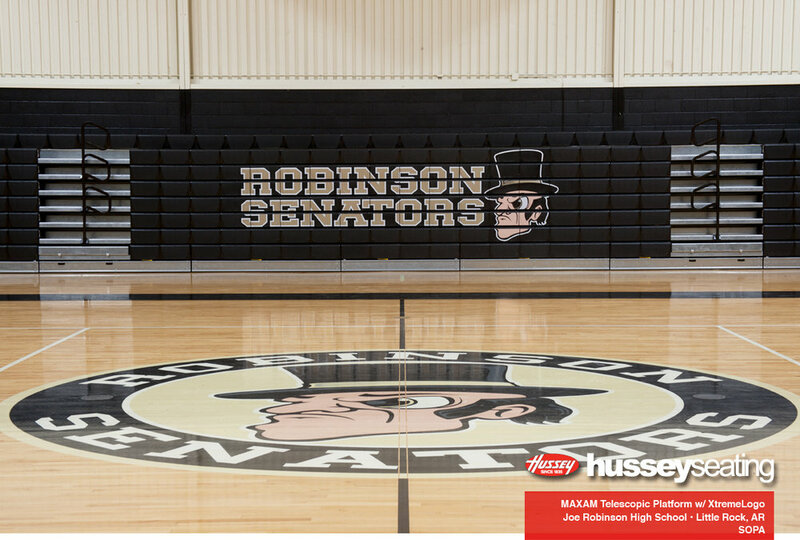 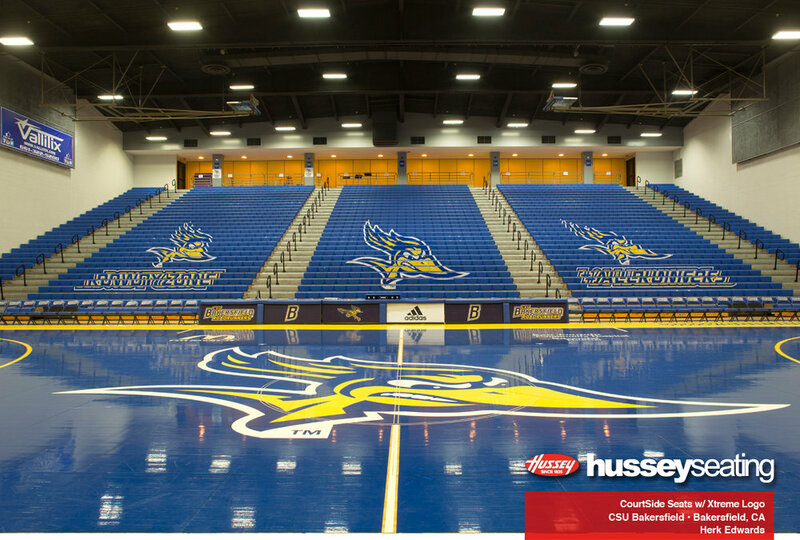 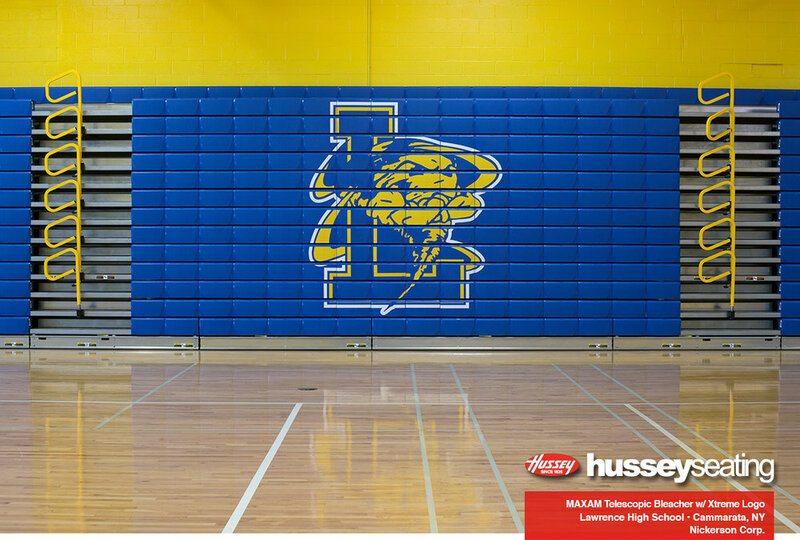 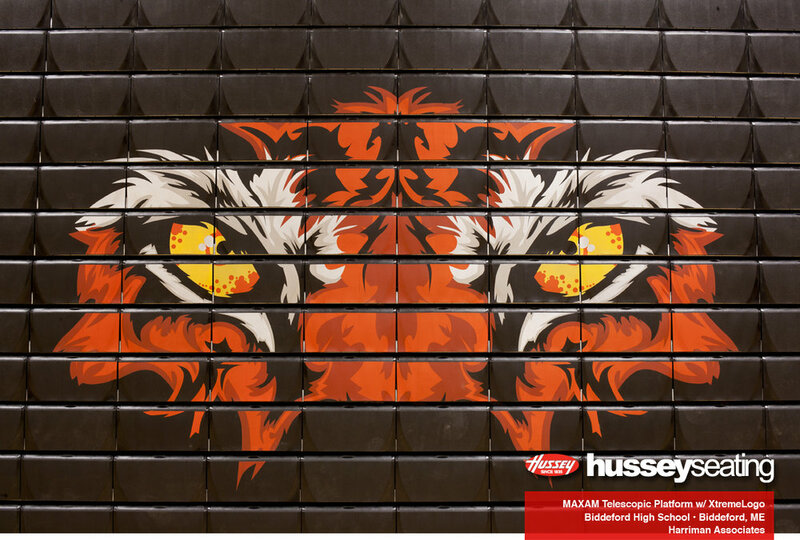 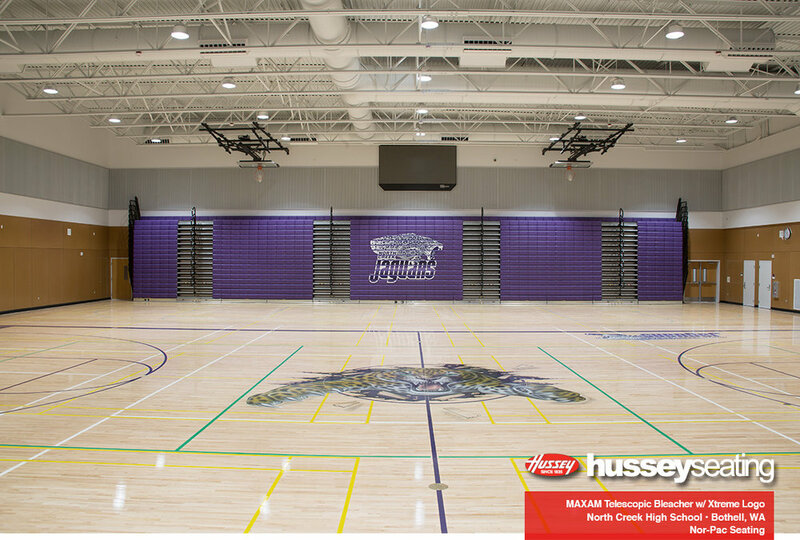 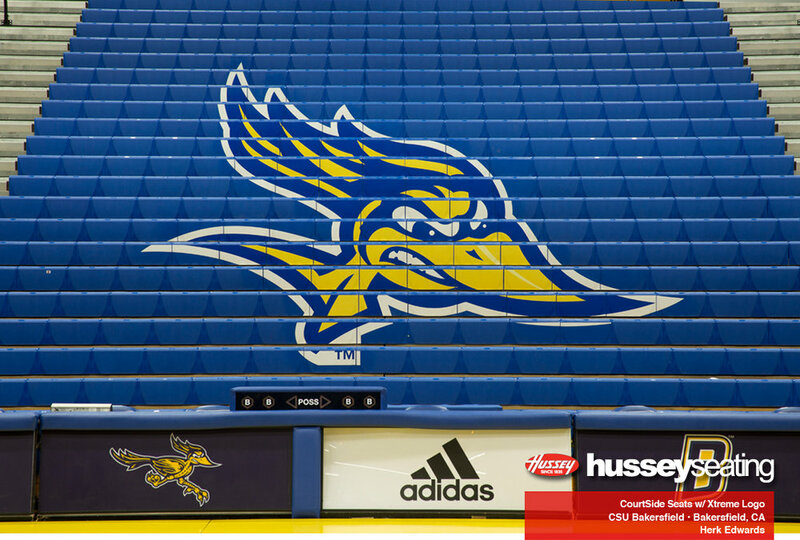 The cornerstone of the Total Package Graphics Program, the XtremeLogo places your school’s mascot or logo on a grand scale in the center of your bleacher sections. 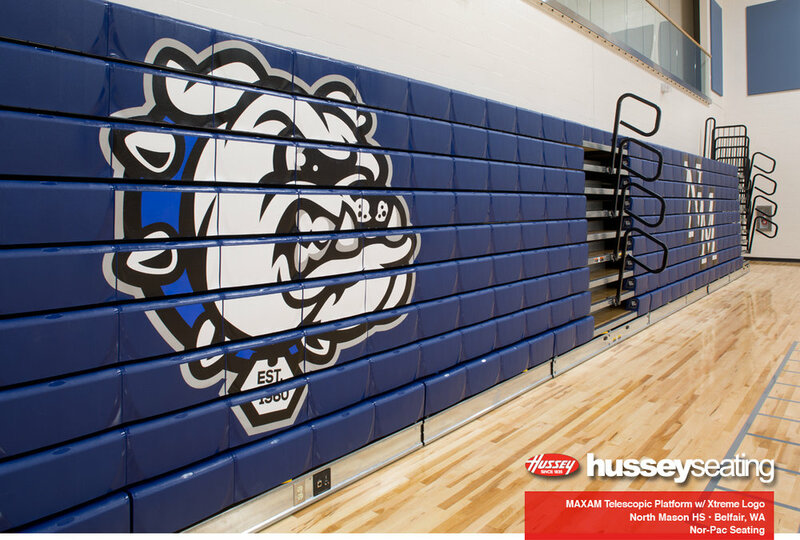 Using a proprietary graphic transfer process, your XtremeLogo is permanently bonded to the CourtSide bleacher seats – no peeling, scuffing or scratching. 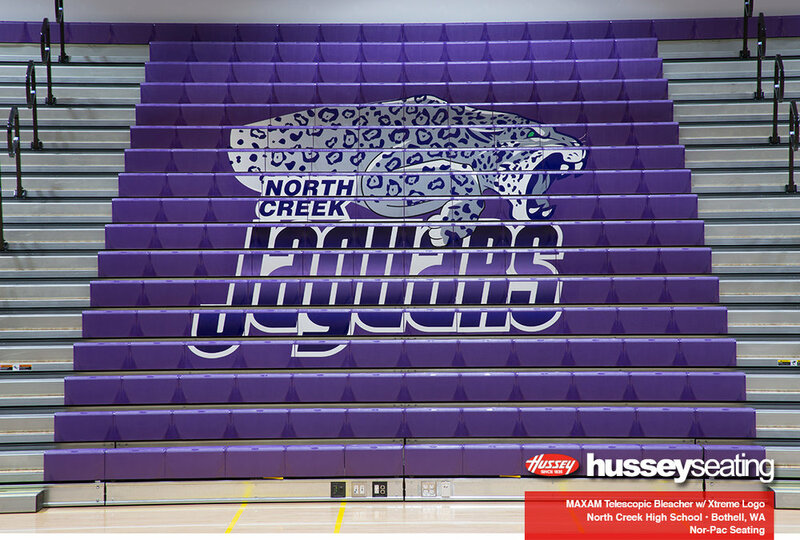 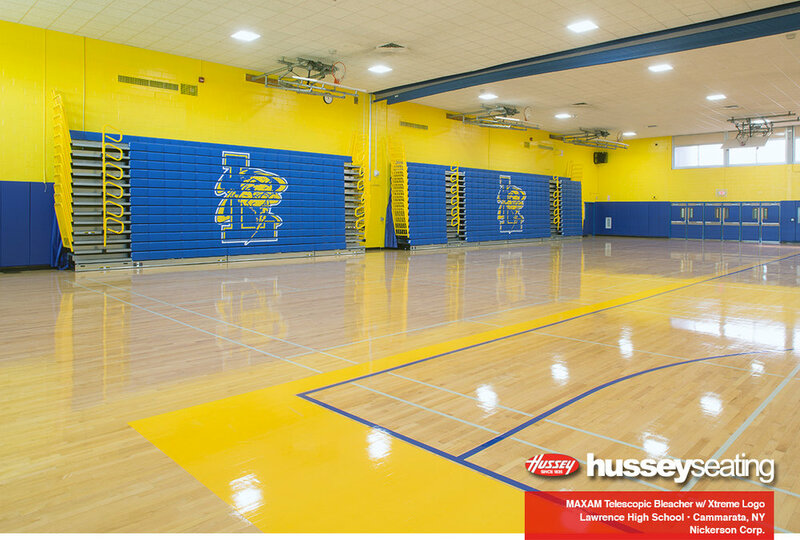 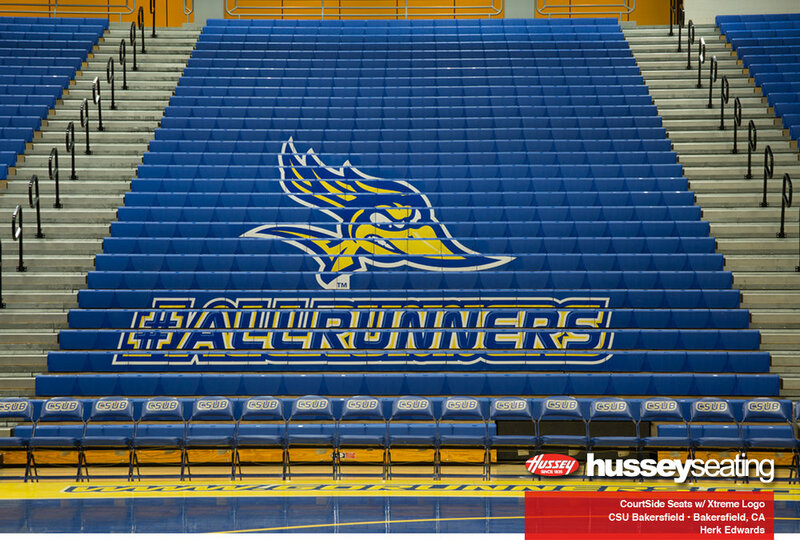 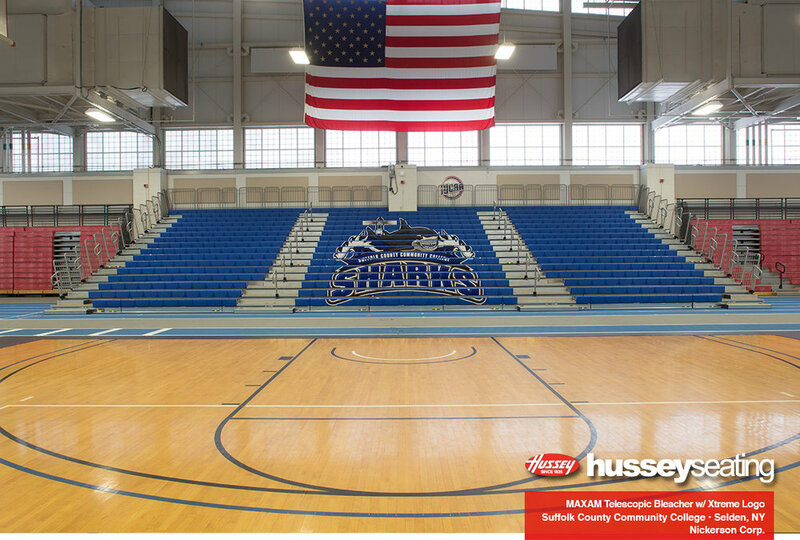 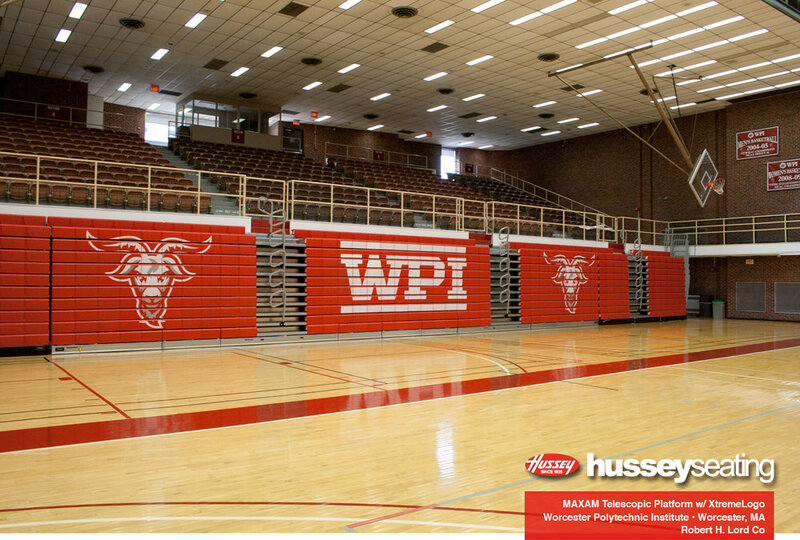 Whether the bleachers are opened or closed, your logo will impress.